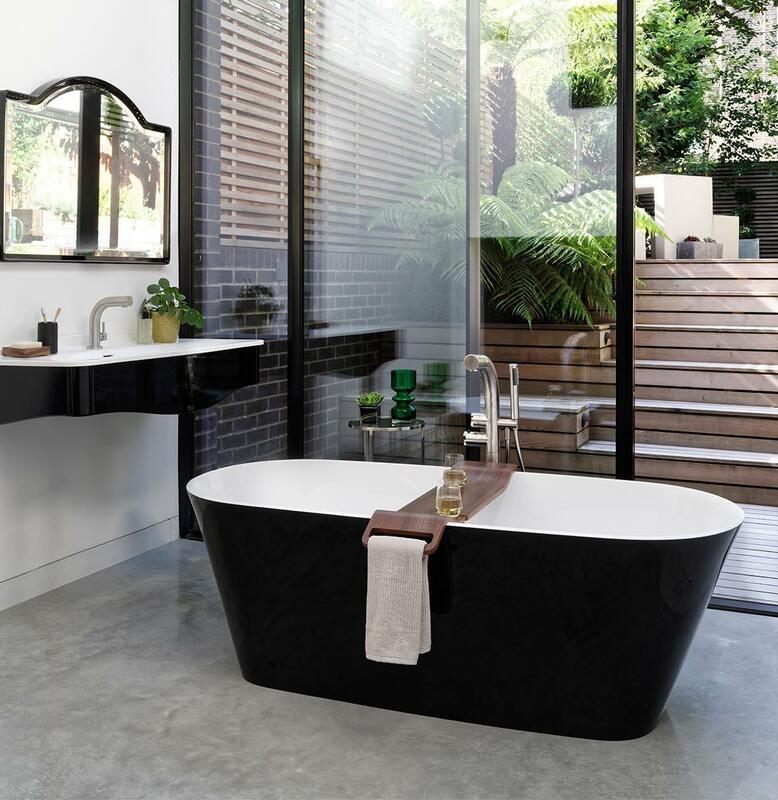 Freestanding tubs are one of the most exciting trends in bathroom design and with many of our clients removing their built-in tubs and opting for a freestanding one instead, we thought it time for a Jarrett Design Top 10 List! Not only do these tubs add beauty to the bath but with a range of features and options available, they work in almost any space. 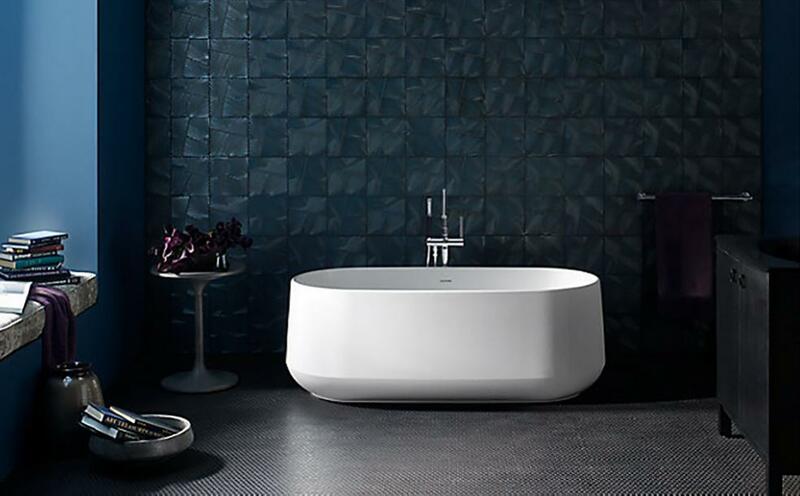 There are lots of advantages to incorporating a freestanding tub into your design. We find that one of the biggest benefits is the additional space found in the bathroom once the old, built-in tub has been removed. 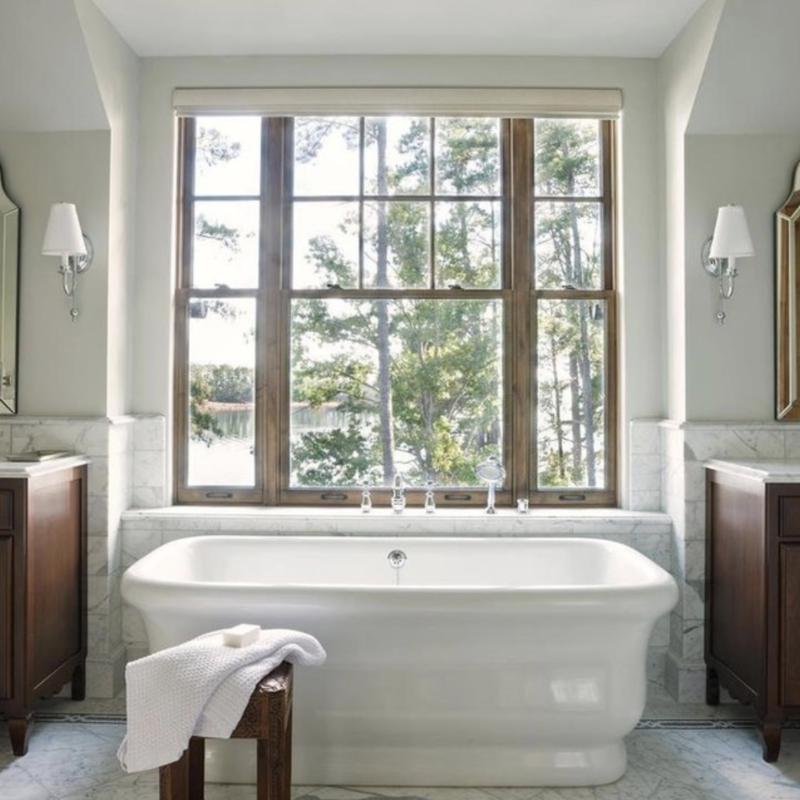 Not only do we often gain literal square footage, but freestanding tubs are visually smaller as well, making the bathroom appear bigger and more spacious. The additional space often allows clients to expand the size of their shower or add valuable counter and storage space. 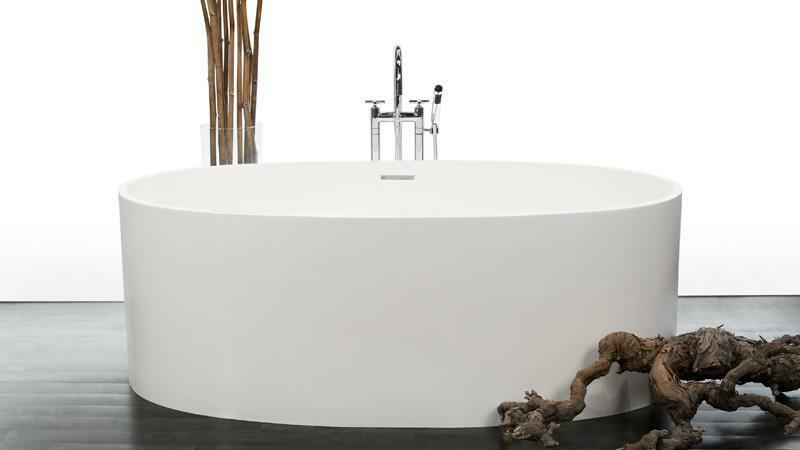 Freestanding tubs are wonderful but they can be heavy and tricky to get into a bathroom! We encourage clients to check the weight of any tubs before deciding to order as some tubs are several hundreds of pounds and when water is added, they get even heavier. We like to check with the contractor to confirm our client’s floor can support the weight of the tub. Fortunately, many tubs today are available in both cast iron and lighter-weight materials so it’s possible to find an equally appealing option if your floors can’t bear the extra weight. Also, be sure to check the measurements on any doorways that the tub may need to pass through to get positioned in the bathroom! Nothing worse than finding the perfect tub and discovering you can’t get it through the bathroom door! 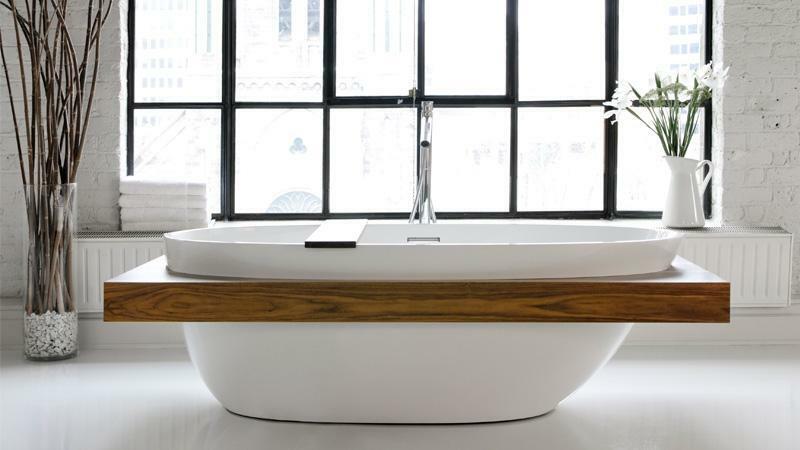 For many of us, a bathtub is a must-have and since tubs now come in so many beautiful shapes and finishes, it can serve as the signature piece in any bathroom. We identified some of our favorites and we hope they inspire you too! 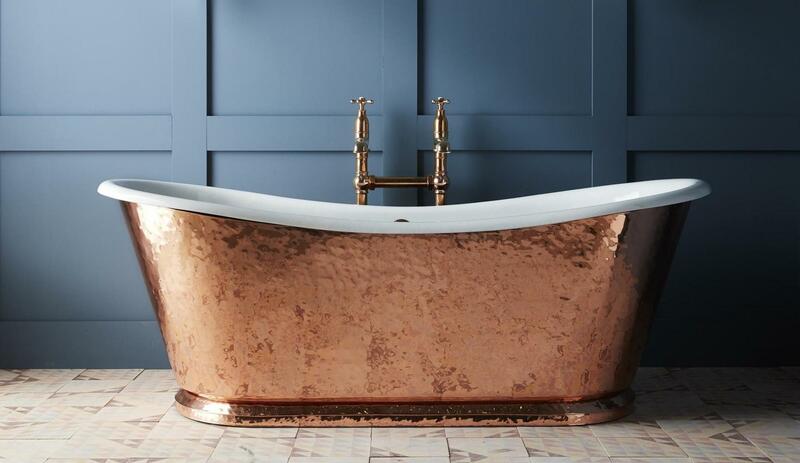 This gorgeous tub with its hammered-copper exterior is beautifully crafted. The gentle slope of the tub’s rim and weathered, timeless look of the copper make this tub simply sublime and easily one of our favorites on the list. If freestanding tubs have any downsides, it’s that there isn’t a convenient place to put your stuff. This smart tub design from Wet Style solves that problem by offering a built-in shelf (in walnut to boot!) — a perfect place to set a glass of wine and relax! 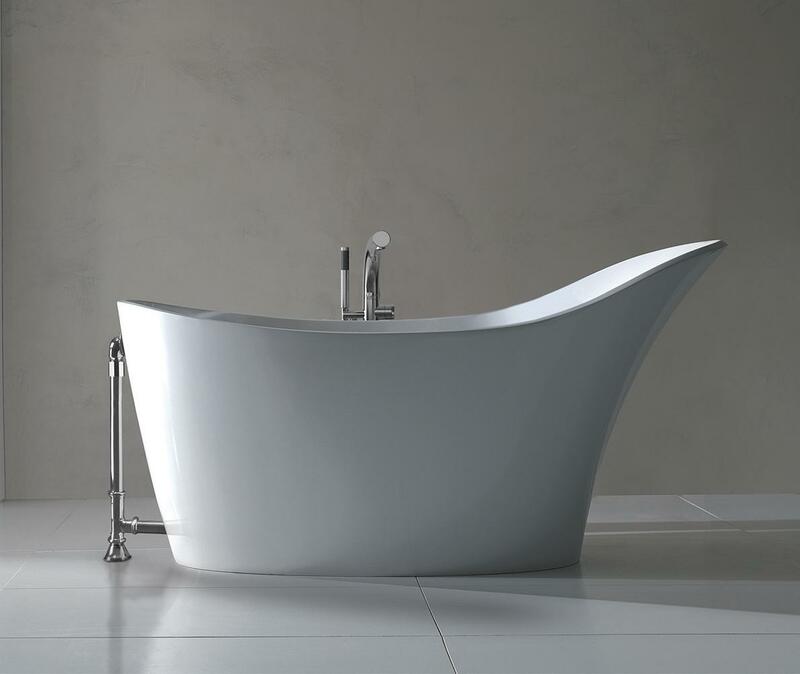 Signature Hardware offers a lot of wonderful tub options at a very good price point. 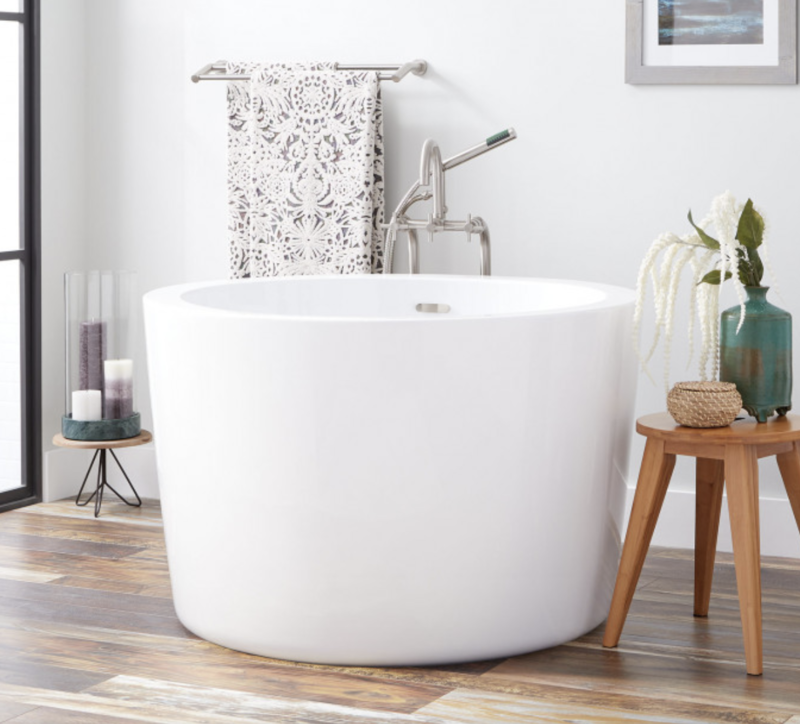 Not only can you get a classic, like this cast iron clawfoot tub from Signature, but they offer chic, modern styles as well. We love this timeless tub and similar styles are available in both cast iron and acrylic and in a range of sizes (some as small as 54″ long!). A great value choice for the budget-minded and for those seeking a tub for a small space. 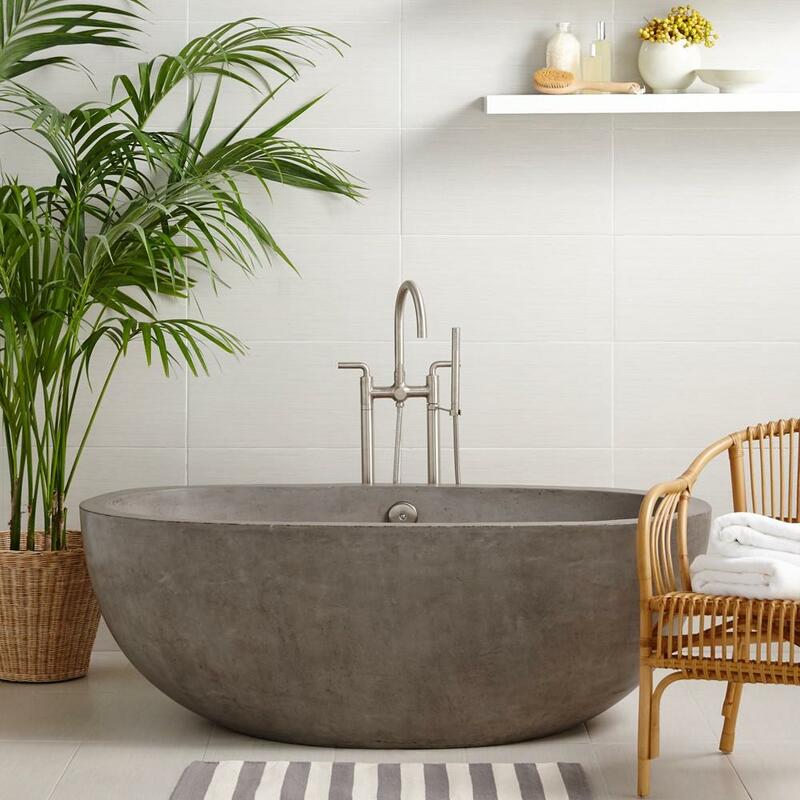 This award-winning concrete tub is a work of art! The finishes offer wonderful depth and complexity of color and the thick walls help to keep the tub water hot for a long, relaxing soak. Crisp, clean and yummy from our friends at Kohler! The A-symmetry of this tub is both visually striking and functionally practical– the perfect design for reclining and relaxing! It’s a wonderful, modern spin on a classic design idea! Clean, simple lines on the outside and eco-friendly natural stone material on the inside. A win-win from this Canadian manufacturer! Victoria and Albert is a British brand known for its quality and timeless design. This wonderful, transitional tub is available in seven different exterior paint finishes! We loved the contrast of this snappy black and white tub. Good for a small space or for those who enjoy the calm of a Japanese soaking tub! Click on the “Learn More” link above just so you can see the charming Yin/Yang tub bottom! 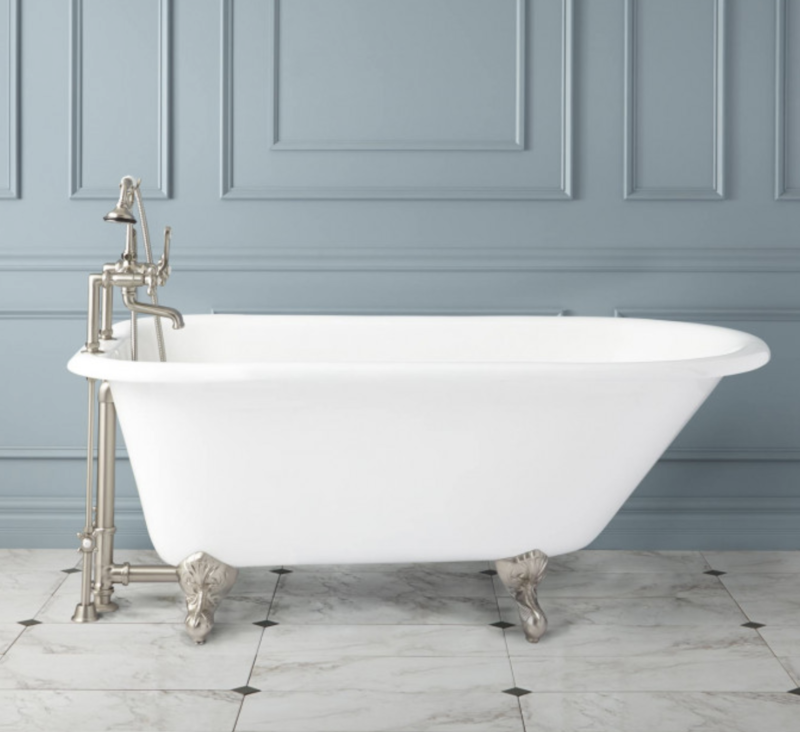 Inspired by 19th century England and France, this timeless tub is made by Waterworks, a leader in luxury bath products.